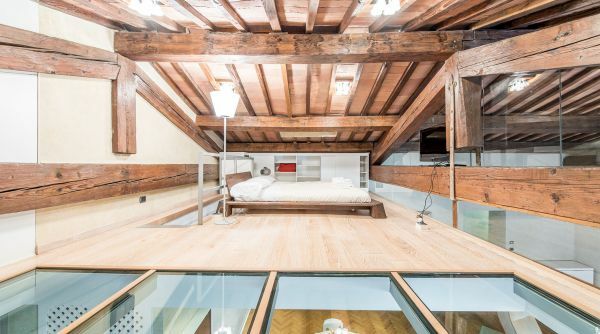 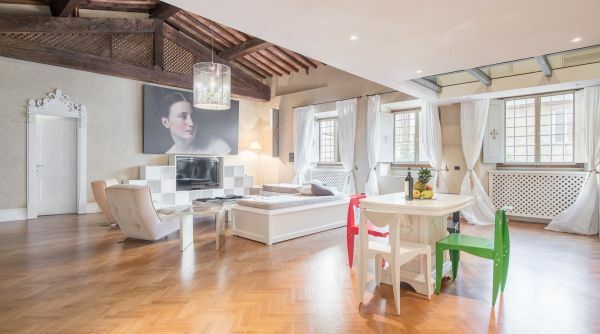 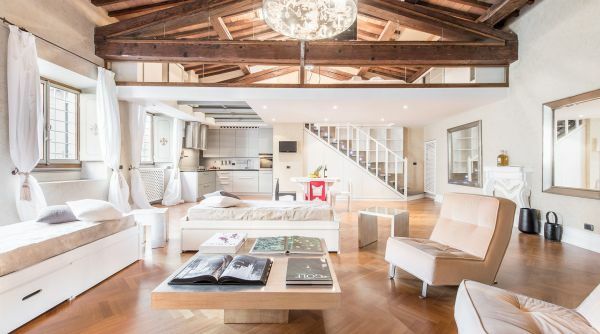 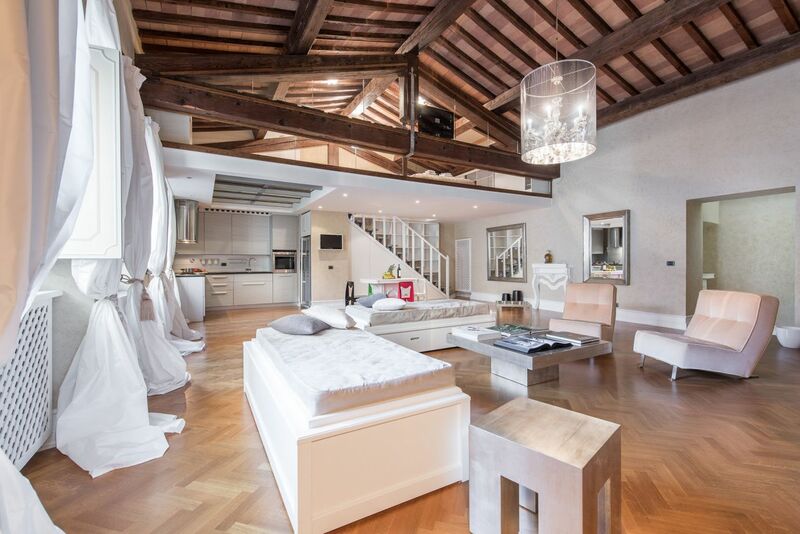 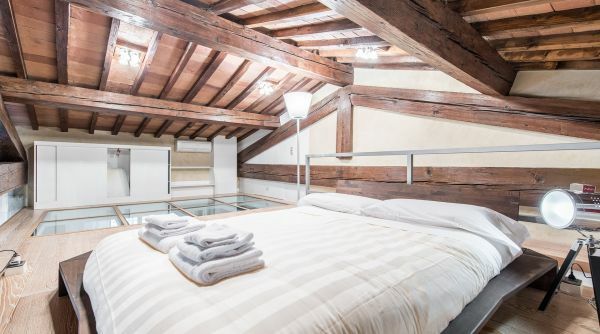 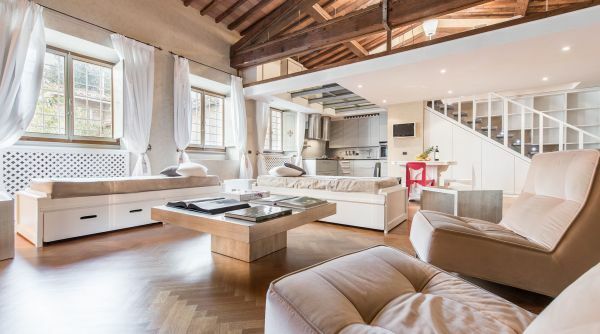 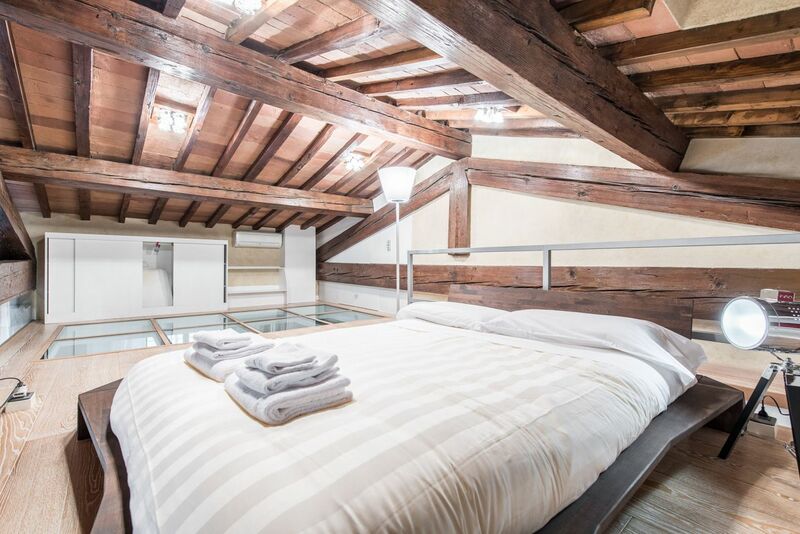 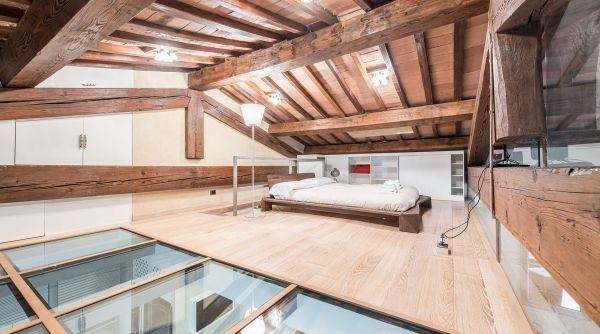 The perfect mix of classic and modern awaits those who choose to stay in this 15th century loft near the Duomo of Florence. 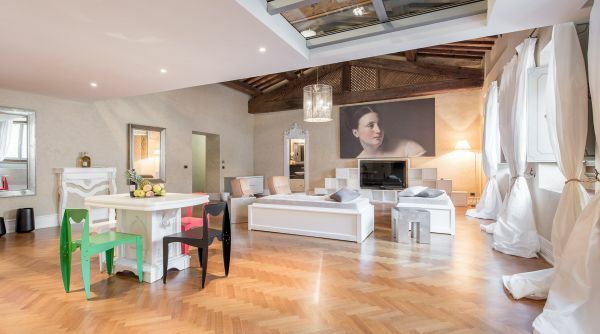 Luxury and refinement combine with all of the modern comforts to create an unforgettable stay in the heart of Florence.This stylish and modern apartment accommodates up to 5 guests. 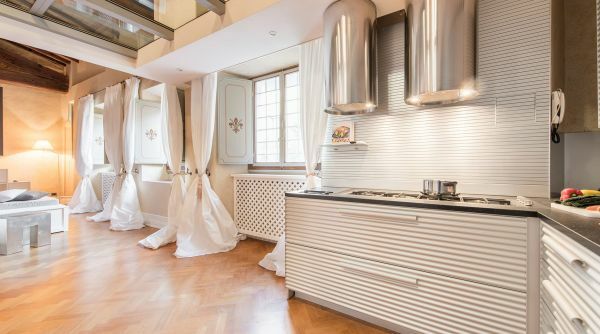 The layout is distributed on two separate, communicating levels. 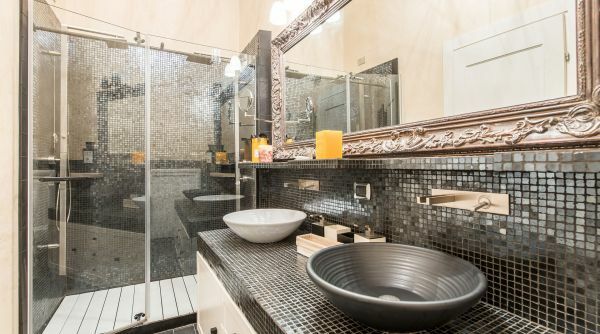 The apartment hosts a beautiful bathroom with shower and double sink, a modern and well equipped kitchen with oven and a large fridge, and a spacious living room filled with natural light. 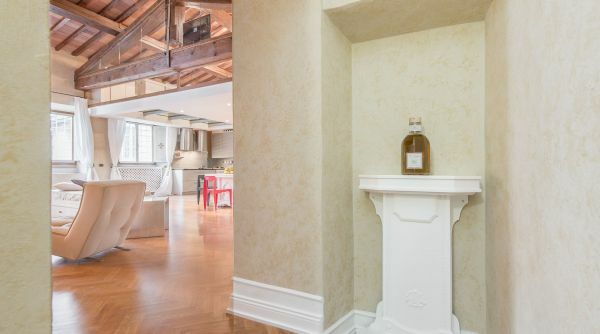 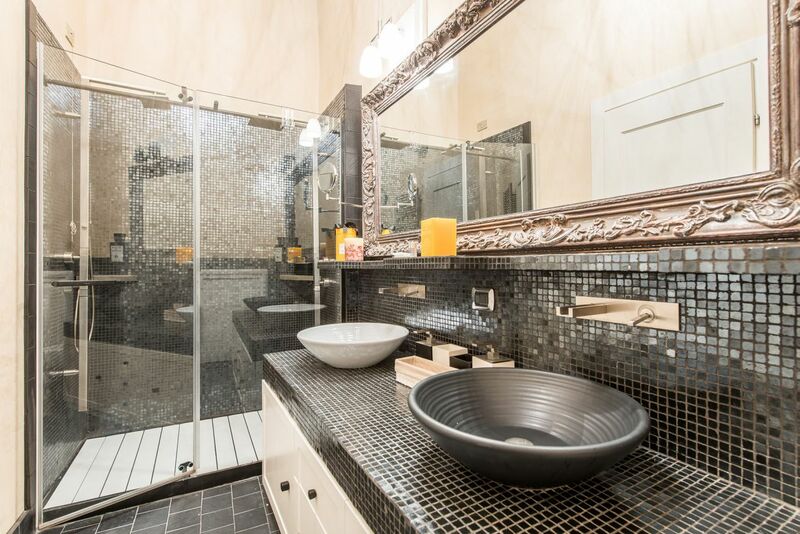 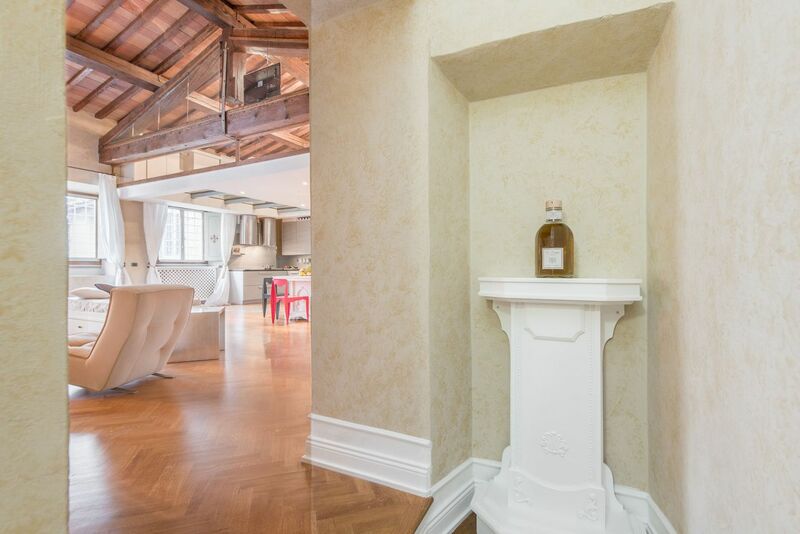 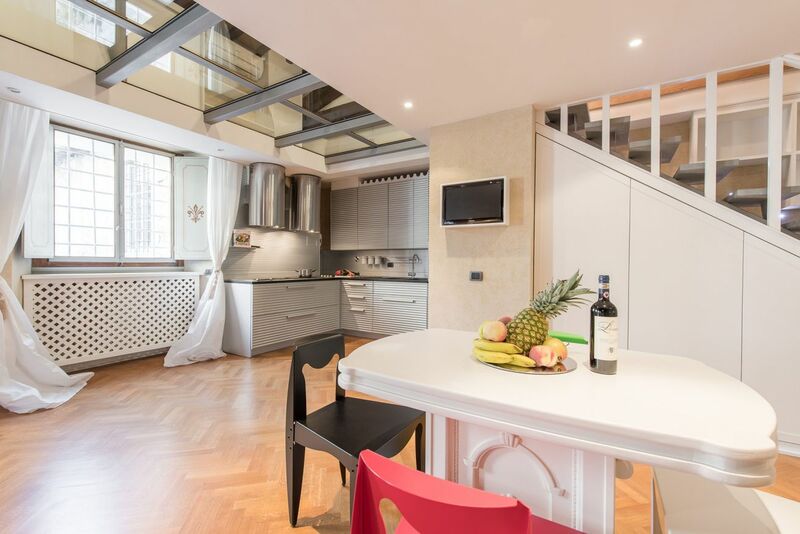 Duomo Luxury Loft includes unlimited Wi-Fi, air conditioning and independent heating. 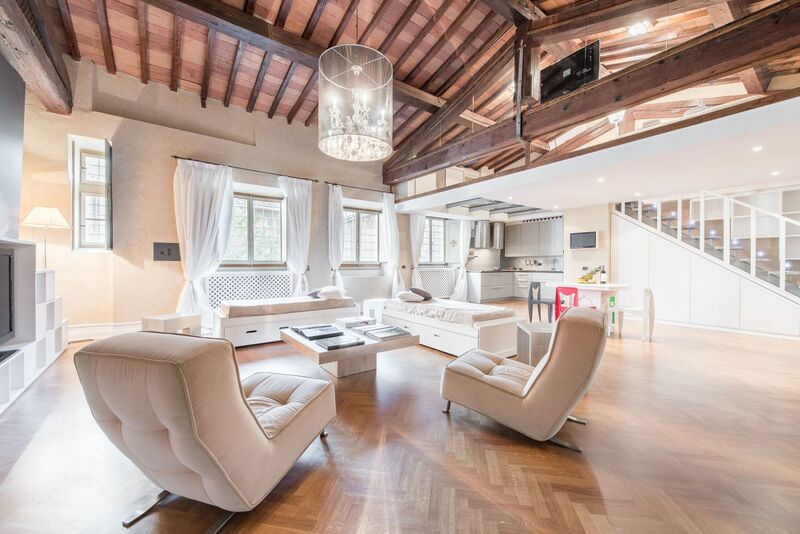 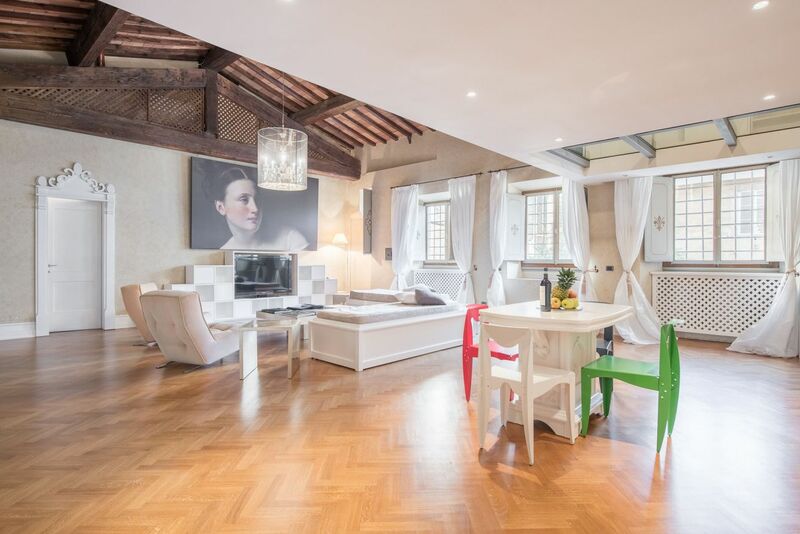 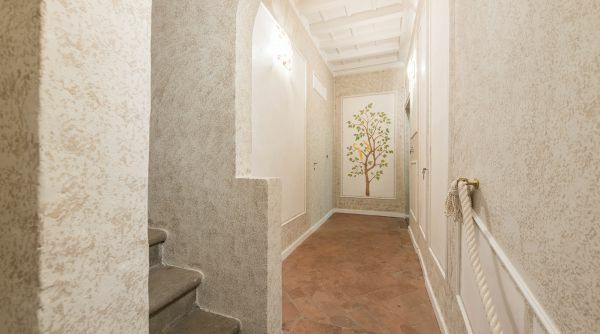 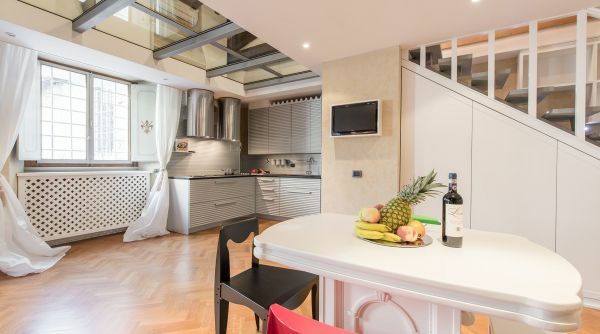 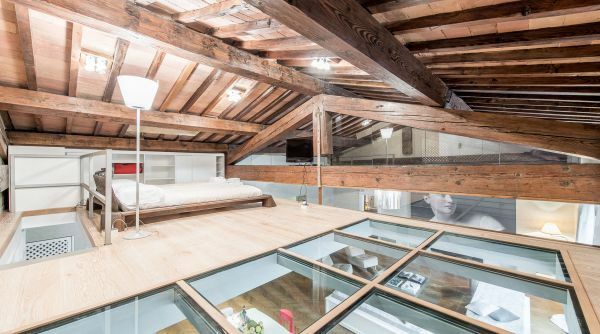 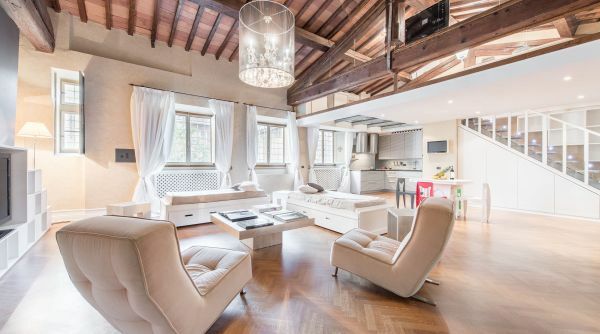 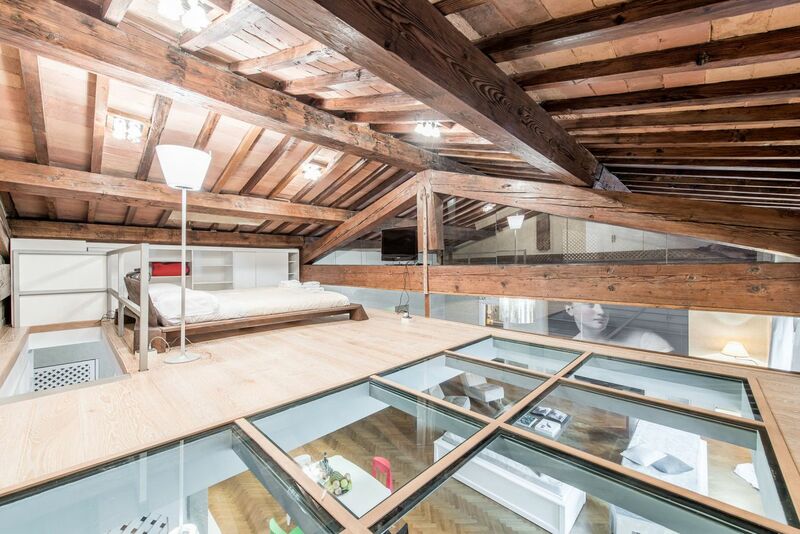 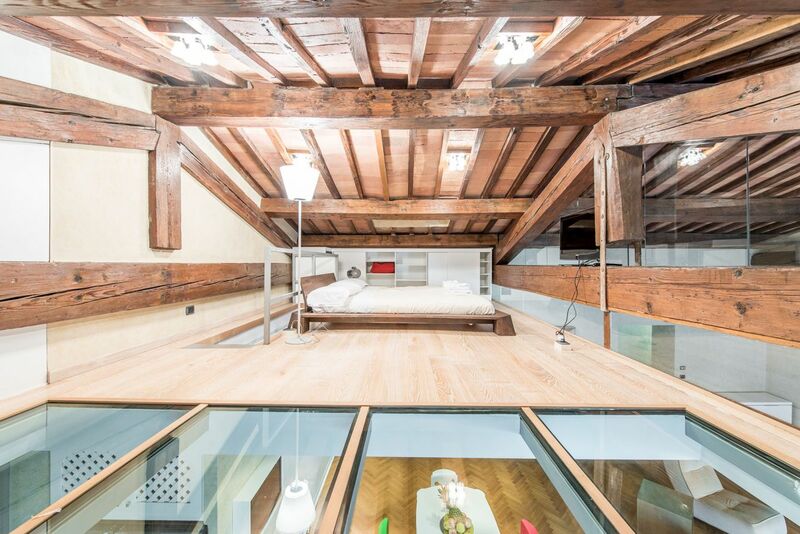 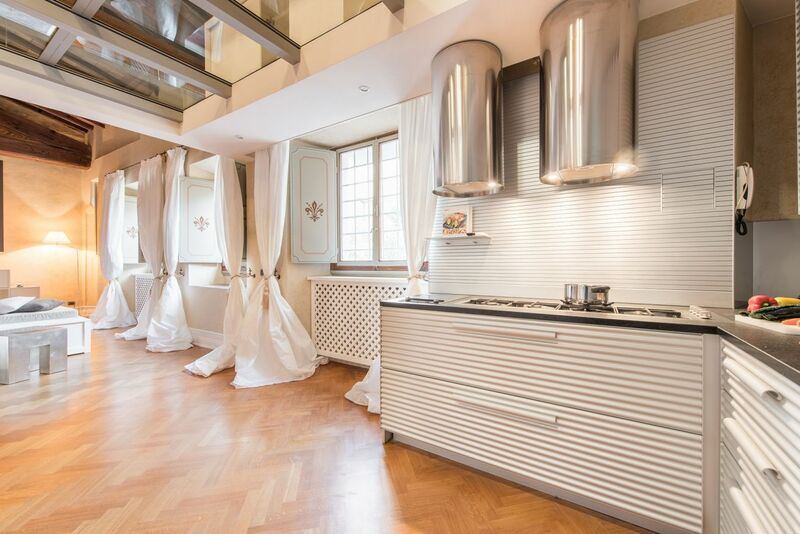 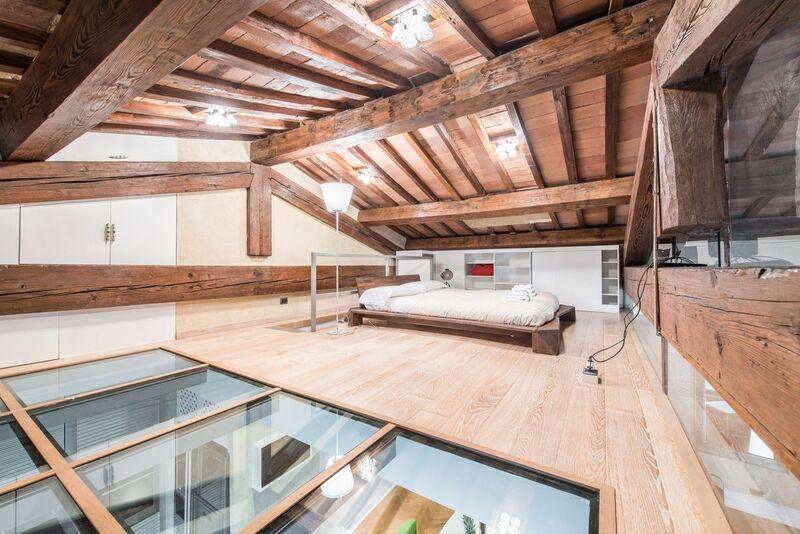 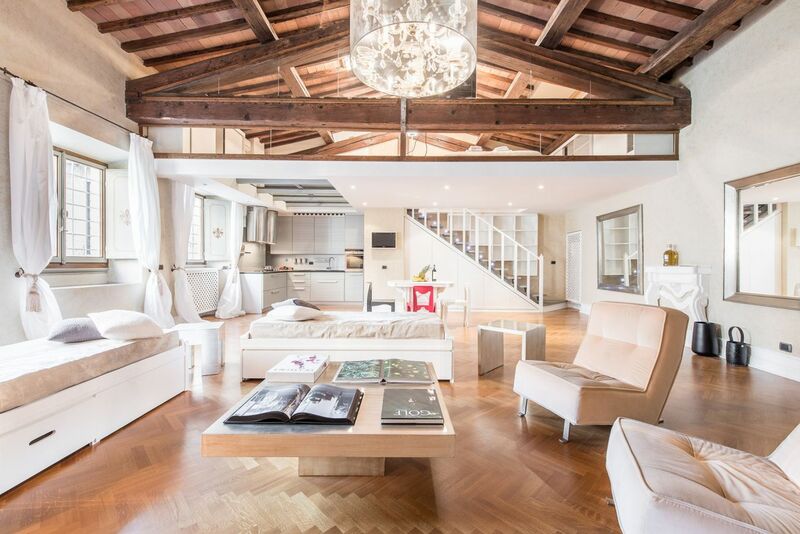 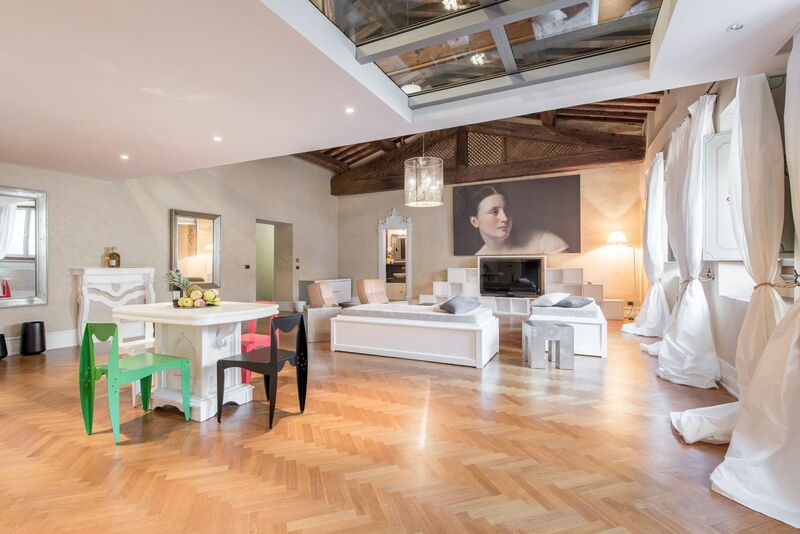 This luxurious loft in the heart of the city is only a short distance from the Duomo and the Basilica di Santa Croce. 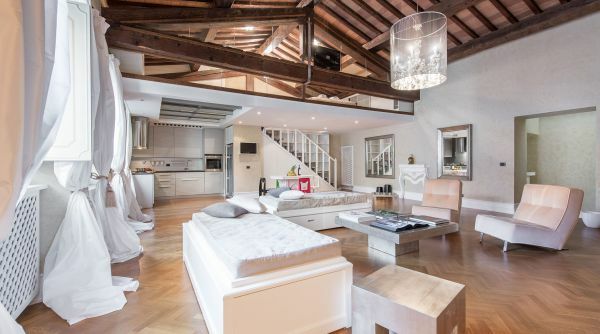 The apartment is located in a chic area, full of lounges, restaurants, and shops. 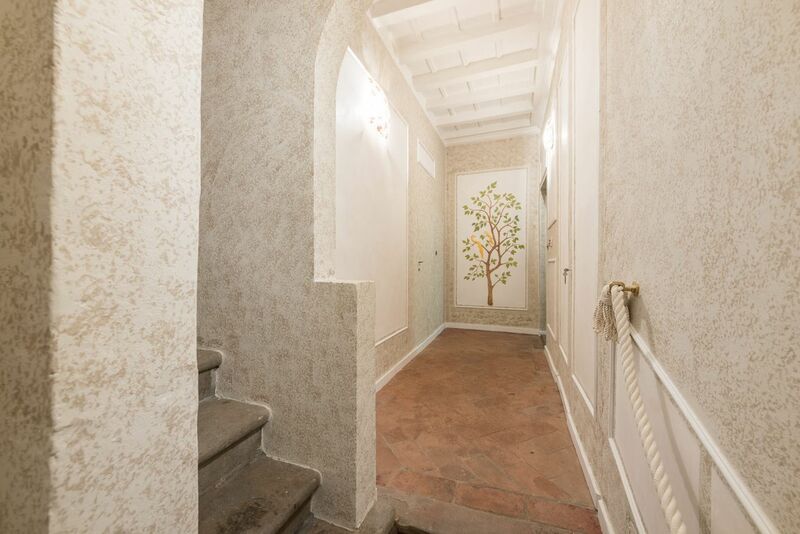 Guests can easily reach every point of the historical city centre; every museum or monument of Florence can be reached in 15 minutes by foot. 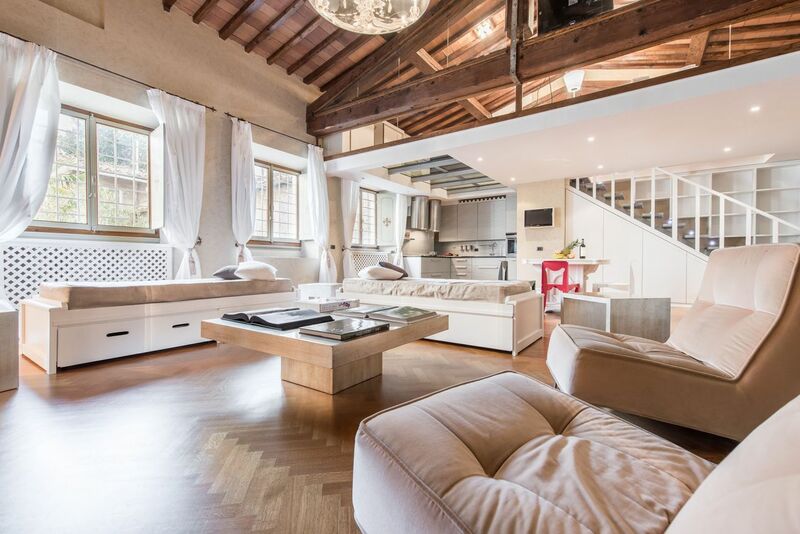 From the main train station of Firenze, Santa Maria Novella, you can get a bus, lines 6A and 6B by ATAF.